It has been two months since Quadriga founder and CEO Gerald Cotten died and took the keys to his crypto exchange's cold-storage wallets to the grave (at least, that's the official version of events relayed by the company and Cotten's widow to a bankruptcy court in Canada, where Quadriga is seeking protection from a flurry of customer lawsuits). And as a growing number of analysts and amateur sleuths call bs on the company's narrative - leading some to wonder whether Cotten might have faked his own death in a foreign land and run off with $150 million of his clients' money - the first stories of people who lost their entire life savings in the imbroglio are beginning to emerge. 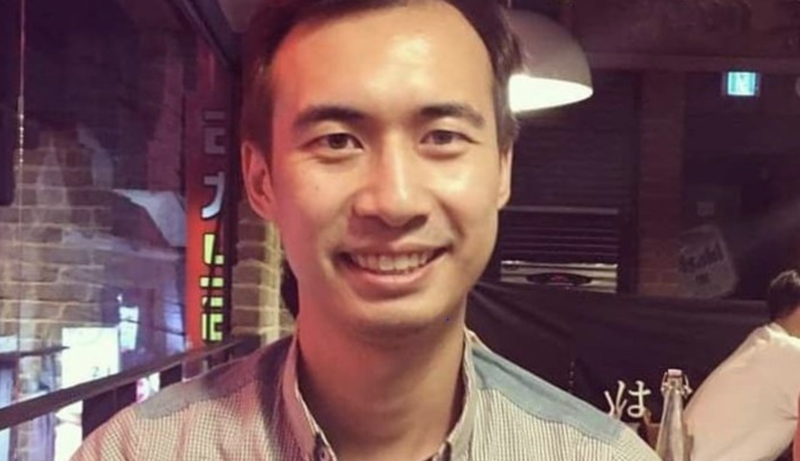 Enter Tong Zou, a 30-year-old Canadian software engineer who had been working in Silicon Valley for the past seven years as a software engineer. After deciding to move to Vancouver last year, he decided he'd try and save a few bucks on transfer fees when converting his USD life savings into Canadian dollars. To accomplish this, he first converted his money into crypto on Quadriga's platform, then traded it for the Canadian dollar equivalent and tried to transfer the proceeds to his Canadian bank account. What happened next is pretty much the definition of "wrong place, wrong time." Suffice it to say, around this time, Quadriga ran into the "liquidity issues" that are the subject of its current bankruptcy filing. As a result, Zou's transfer has been pending for months. He believes he won't ever see the money - some $422,000 he had saved over the past seven years. "It’s all my savings, so I’m just living on what little I have left and trying to start over," Zou said in a phone interview Friday from Vancouver, where he has been living out of an AirBnB for the past month. “It pretty much took everything away from me." Zou is one of Quadriga’s 115,000 clients who are out of luck after the sudden death of the firm’s founder left C$190 million in cryptocurrencies protected by his passwords unretrievable. The exchange has halted operations and was granted protection from creditors on Feb. 5 in Nova Scotia Supreme Court in Halifax. Zou considers himself "one of the largest affected individual users" - according to an affidavit he filed this week as part of the court proceedings. He bought Bitcoin in the U.S. and transferred it over to Quadriga CX and immediately sold it for Canadian dollars, which was supposed to be deposited into his Canadian bank account. That was in October. He’s still waiting. "I wasn’t using it for trading - I just wanted to move my money over to my Canadian bank account," Zou said in the interview. "What I didn’t know was that my withdrawal would be pending or incomplete and it never got deposited in my bank account. I’ve been waiting four months so far." Now, Zou is stuck in an Airbnb in Vancouver, and struggling to figure out his next move, according to an interview with BBG. And he's not the only one. "A lot of other people are in the same situation as me," he said. Meanwhile, Cotten's ex-wife and his fellow executives at Quadriga claim that outside cybersecurity experts brought in to try and penetrate Cotten's encrypted phone and laptop have achieved only "limited success", and the wallet keys remain nowhere to be found. Yet, as we noted the other day, there has been some movement of coins from wallets believed to be controlled by Quadriga. Though these could have been automatic transfers set up before Cotten's death, the issue has certainly added fodder for certain 'conspiracy theories' about Cotten, as some question the official narrative that he died in Jaipur, India while on a trip to set up an orphanage. Next PostElizabeth Warren Schemes to Take Down Trump in the 2020 Presidential Election, Does She Even Stand a Chance?